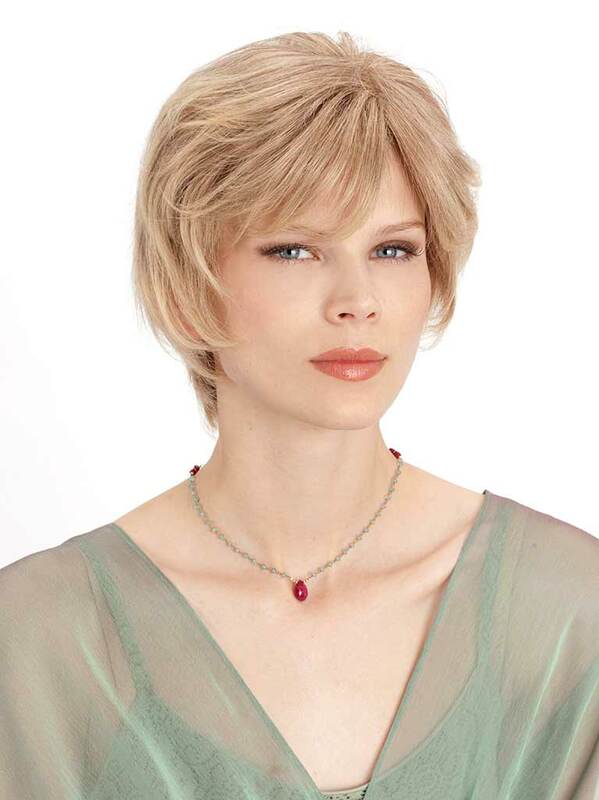 Add a subtle finishing touch to your look and call attention to your face with these gorgeous short bob style wig. Hand-tied front knot by a skilled craftsperson, the wig has a carefully refined look that mass-produced wig simply canï¿½€ï¿½t replicate. Cool and versatile, the Emerald 9021 will pair effortlessly with any outfit. Shipping Charges are based on the delivery type you select and the destination. AJ's Wigs as default charges for 2 day priority shipping through the US post office. Estimated Delivery dates do not include processing order times, nor Holidays, nor weather among other things that can influence shipping. AJ's Wigs can and will drop ship directly from a manufacturer if necessary and a nominal fee may apply. Customer satisfaction is important to us, and will always be an integral part of our beliefs. Human hair cannot be returned for a refund unless there is a manufacturer defect. However if the wig is completely unopened and all tags and boxed exactly the way you found it we will be glad to exchange it for any other type or style. All costume wigs, human hair extensions, costumes, beards, eyelashes, eye brows, hats, corsets, head wear, accessories, purchased color rings, clearance, one of a kind, samples and close outs are all Final sale and cannot be refunded or exchanged. We will exchange any one wig free of additional charges of the same cost wig. If requesting a refund it must be intact with all original tags the way it is received with no brushing or combing of the wig. It must be free of smells and cannot have been cut or restyled or altered in any way. Any promotional items (including free items) must also be returned and in their original packaging. If not original suggested retail will be applied and charged prior to any monies returned. RMA (return Merchandise Authorization) MUST be requested by phone or mail within 10 business days of receipt. A restocking fee of 20% will apply to all returns or a minimum of $10; whichever is greater. Shipping fees for returns are at your expense. We pride ourselves and strive to respond to your questions and or concerns as well as your praises as soon as possible. We will even video chat with you and suggest styles if you would like by appointment.